Happy Mount Park is a wonderful place to enjoy the sea air in Morecambe, all year round. The gardens are of interest in all seasons, with both decorative and naturalistic plantings, as well as the existing park landscape with its origins in the early 20th century. Scenic pathways make for a relaxing stroll, with plenty of local birds and wildlife to be spotted. The traditionally designed Japanese Garden is especially beautiful in spring and autumn. Many of the park’s trees featured in the original landscaping of the 1920s can be now be seen grown to their mature form. 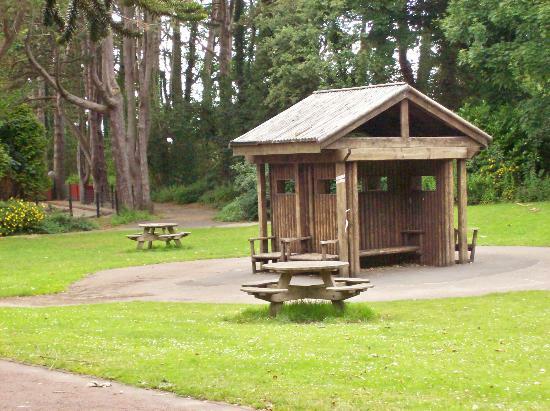 Whatever the season, the Café in Happy Mount Park provides excellent refreshments 7 days a week. For beverages and quality Italian style ice cream, to hearty home-cooked meals and excellent coffee and tea, come to Café Rastelli whenever you visit Happy Mount Park.